Class Clowns is Melbourne International Comedy Festival's development program for young people around the country. 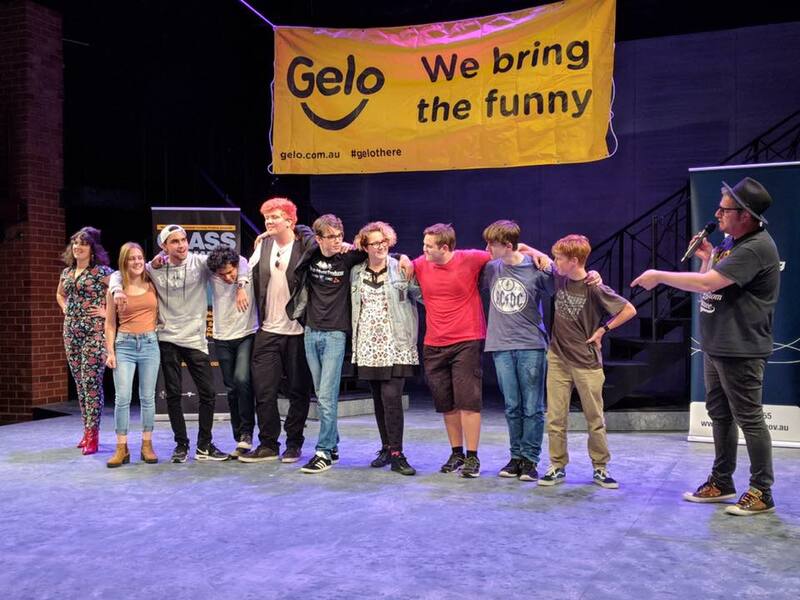 From comedy workshops in schools to a national comedy competition, Class Clowns engages and inspires young funny peeps to hone their potential. Class Clowns is Co-Presented in WA by Gelo, and registrations for the 2019 competition are open! Head to Class Clowns for all the info on participating, and if you would like to be an audience member for a heat check out FRINGE WORLD. Plus - leading into the Perth Heat for Class Clowns, we’ll be running free comedy workshops as part of Sunset Veranda’s FRINGE WORLD program - details here! Class Clowns is a mini documentary telling the story of the three teen comedians & WA State Finalists Lynden, Farhan and Casey being selected to compete in Melbourne International Comedy Festival competition. We premiered the film at Revelation Film Festival in July with comedy sets from MC Matt Storer and Class Clowns alumni Lynden Hughes, Casey Clark, Roydon Elliott and Ben Samuelsson. This documentary is presented by Gelo, ECU & WAAPA, and was directed by Kal Englishby. Please enjoy & share with those you think need an 8 minute break! These performers get an A+ for a hilarious WA State Final 2018! Congratulations to all the performers, those sets were so killer and we can't wait to see you all gig again, watch out WA there is some serious talent incoming! Huge shout out to Lynden who took out first prize and Casey & Farhan selected as wildcards - making it the first time 3 acts have been flown over to the final to represent WA at the Melbourne Comedy Festival - Class Clowns National Final on 20 April! Thanks to all the audience for showing your support and getting your laugh on, Tessa Waters as the most fab MC you could ask for, our amazing industry judges, and our event partners! DIY Workshops and other engagement programs are available year-round to build interest and develop the skills of young people in your community. Sign up to the Mailing List to be the first in the know about workshops, events, and registration opening. If you think you'll have eight or more entrants you may be eligible to hold your very own heat in your area. Get in touch with Rosie today about developmental opportunities for young people. If you're a teacher looking for more resources on the benefits of comedy for young people, you can access this pack from Melbourne International Comedy Festival - Funny Makes You Feel Good - A Comedy Handbook. Access for free HERE. Every year hundreds of young teens compete for a chance to be flown over to Melbourne to compete in the national final, with a grand prize of $1,500 for themselves and a $1,000 comedy workshop for their school. Up to 3 people can perform together so get writing on your scripts or enter solo and reap the glory, as long as you're aged between 14-18 or are in secondary school Years 9-12 . Any form of comedy is accepted from sketch acts, stand up, physical comedy, musical comedy. If you think you’re funny and have got your own original material we want you!